Even though 2009 was the fifth warmest year since 1850, and 2000-09 the warmest decade ever, according to the World Meterological Organisation, surveys show that public concern about global warming in the United States and Canada has dropped sharply in the past 18 months. Why? 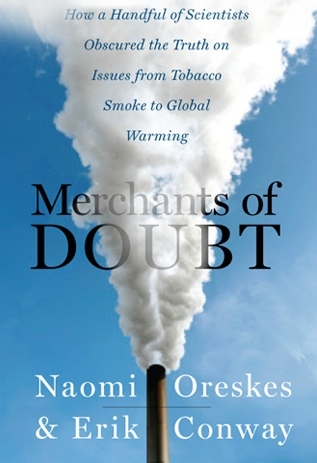 Because of a relentless disinformation effort from an unlikely cabal of fossil fuel interests, Christian evangelicals and the media, says Naomi Oreskes, a professor of history and science studies at the University of California, San Diego. “They have managed to reopen the debate over global warming in people’s minds,” she told IPS. 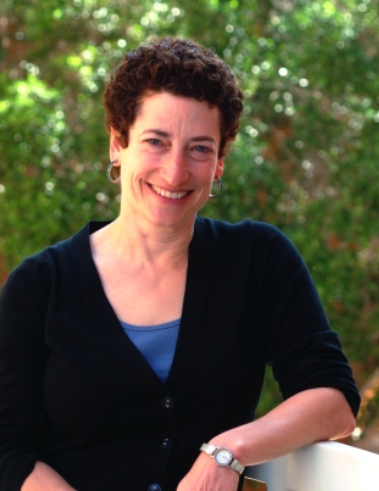 In 2004, Oreskes was vilified on TV, radio and in print by commentators for providing clear evidence there was in fact a scientific consensus on global climate change. Her essay in the journal Science examined all of the peer-reviewed scientific papers on climate over the previous 10 years and found none dissented with the theories that climate change was occurring and it was caused by humans. Her survey has never been successfully challenged, despite many attempts. IPS environmental correspondent Stephen Leahy spoke to Oreskes over the phone. Excerpts of the interview follow. Q: Where is the vehement opposition to the very idea that we need to do something about climate change? A: Some of it is ideological, part of a long history in the United States that equates environmental regulation as going down the slippery slope to socialism. And some is religious. Christian evangelicals don’t like science in general and have found common cause with the coal industry as a way to be able to teach creationism. Obviously, the motivation of the coal industry is rather different but now these people have come together to undermine science in general. Are you enjoying this article? It is funded by contributions from readers. Please click here to learn more about Community Supported Journalism. Q: What are some of the common tactics used in the past and now? A: They generate all these reports and press releases that look scientific and claim there was a scientific debate, even though it is not coming from the scientific community or coming out of the primary research. In every case, they denied the severity of the problem and said the science was uncertain. For example the coal industry launched a campaign to challenge the science of global warming before Rio Earth Summit in 1992. (The world community, including the U.S., was considering action on climate change, and did – creating the U.N. Framework Convention on Climate Change). The coal industry hired public relations firms to do research on how to change public opinion about global warming. They were very systematic about it. Q: What role has the media played in the decline in public concern about climate change? A: The media fuss over the emails (old email messages stolen from the U.K.’s University of East Anglia) almost makes me sick. Why would the media trust the claims of people using stolen material? The media has a lot to answer for. They have done a huge disservice to the public. About all that was learned from those emails is that scientists are human beings and that when you harass them they get upset, frustrated and defensive. And sometimes they make bad judgments. None of this undermines 50 years of climate science. Q: Various opinion polls now show that half of Americans think the seriousness of climate change is exaggerated and many do not believe humans are responsible despite the clear scientific evidence. A: Public opinion is fickle and I hope this will blow over. However, scientists need to get their communication act together. Scientists have been relying on journalists to explain climate science. They need to do it themselves. Q: What about the independent review that Intergovernmental Panel on Climate Change (IPCC) will be undergoing this year? A: I don’t think it will be very helpful. People don’t really know what the IPCC is or how it works. They don’t know that it is a review of science which is massively vetted and that the review process is extremely inclusive. So I don’t see how yet another review of the process will really change that. What is needed is better communication with the public about what IPCC is, how it works, and how science, more generally, works. Q: What are the prospects for a global climate treaty? A: Extremely unlikely. The lessons from history show up that bottom up is where change happens, at the state and city level. We don’t have to wait. That’s where I pin my hopes, otherwise it’s too depressing. I greatly respect Dr Oreskes and frequently recommend this book. One small correction to her comments: “Christian evangelicals don’t like science in general”. Does she mean that, in general, Christian evangelicals don’t like science (but some do), or that science in general is not liked by Christian evangelicals? From the context, it would seem the latter. But while this may be true of perhaps the majority of self-identified evangelicals in the US, it is not true of all evangelicals, nor of the majority of evangelicals in the UK or Australia (for instance, which are contexts with which I am more familiar). One only needs to note the presence of evangelicals amongst well known climate scientists, such as Sir John Houghton (former chair of the IPCC), Thomas P. Ackerman (one of the co-authors with Sagan on the famous “nuclear winter” paper and with over a hundred climate publications) or Katharine Hayhoe (who has been prominently in the news in recent months). I don’t deny that many evangelicals have a problem with science, but as an evangelical who is working on a PhD in climate ethics in an attempt to make more space in evangelical discourse for taking climate change seriously, sweeping generalisations like this don’t help. I don’t recall the context for that quote but having interviewed Oreskes a few times I’d guess she’d agree with you. I took it as a generality not an absolute and it does reflect her US experience. I wish you the best with your studies as the climate crisis is THE ethical and moral issue of our times. Thanks – agreed (though I would push it out a little to speak of our ecological crises, of which the climate crisis is the poster child and perhaps most insidious form). And thanks for the extra comment on Oreskes. I do understand (all too well) the frustrations associated with all-too-common anti-intellectual Christians. Since I “speak the language” as it were, I decided a little while back that perhaps this might be the best place for me to make my small contribution. PS In case I haven’t said this before, I appreciate your writing, and especially appreciate the fact that you’re going it alone. If I weren’t a cash-strapped full time student, I’d make a contribution. I often post links to your work on my blog.